If you have a residential or commercial garage, you likely use your concrete garage slab every day. You probably don’t give it much thought until there’s something wrong with it. Cracks are unattractive, and a broken garage floor can damage cars. If you’re in need a new garage floor, you’ll require concrete professionals who can complete the job quickly and correctly. Don’t waste any more time parking on your broken garage slab. Let Mr. Pavement repair or replace it so that you have a beautiful new garage floor that will be as smooth as it is functional. We can help you by install a new garage slab, replacing an existing one, or repair the slab that you currently have. Over time, concrete can become cracked or pockmarked, or it can even cave in. Some cracking is inevitable, but over time, cracks can get wider, and the concrete eventually needs replacement. There are many reasons that concrete can crack, such as settling or simply because the concrete was poured or cured incorrectly the first time. To know what the problem is and how to correct it, a professional with experience must assist you. That’s where Mr. Pavement comes in. You can trust us to accurately diagnose the issue and fix it quickly. There are times when it makes more sense to repair the existing concrete in your garage. If there are small cracks or minor pitting that you want to have fixed for aesthetic reasons, a resurface might be enough. Resurfacing is also advantageous because it’s cost-effective. When Mr. Pavement resurfaces your garage floor, we’re not only are you using fewer materials, but we’re also skipping the process of removing and disposing of the old concrete, which can be expensive. When you need work done to your garage floor, you want an expert to take a look. Since large cracks can be a sign of structural damage or can lead to further issues if left untreated, you need someone who has experience determining when a crack can be fixed and when there is damage underneath the surface that is extensive enough to warrant concrete replacement. 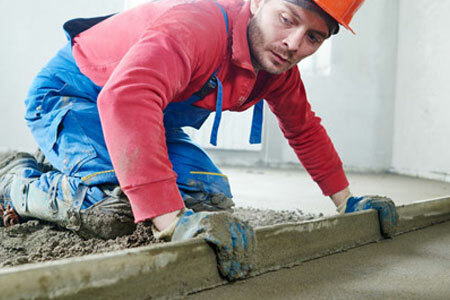 When a Mr. Pavement trained concrete professional comes out to your business or residence, they access the damage, and they’ll be able to give you a recommendation. If you choose to resurface your existing concrete garage floor, you should know that you can often walk on the floor in as little as a couple of hours. The other option is to have the concrete removed and replaced. You can expect this process to take anywhere from a few days to a week. If you want a beautiful and functional concrete floor that will last for years, Mr. Pavement can help you decide if you need a repair or replacement. 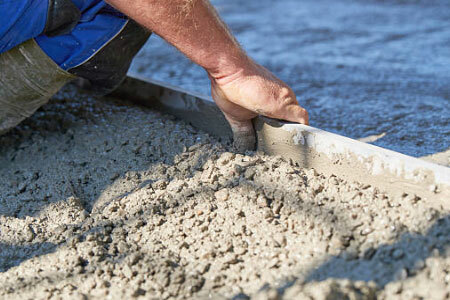 Contact Mr. Pavement today about your garage floor and concrete slab needs.